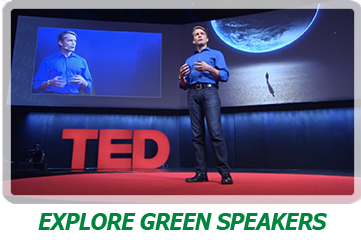 Explore Green™ is a worldwide resource of the leading names and creativity about the environment and exploration. We represent scientists, adventurers, eco-celebrities, climatologists and some of the top thinkers on the planet... about the planet. With the increasing fusion of entertainment, politics and the environment, Explore Green™ gives businesses, associations and groups of all kinds access to those innovators and visionaries on topics from climate change and depletion of species to meeting global resource demands and going to new heights in space and the depths of the ocean. The Explore Green™ team also works with corporations, product lines and trade associations to develop and advocate their sustainable policies and build validation for positive ecological business initiatives. Your reservation is waiting at The Tribal Table, a feast of exquisite dining and cultural learning. Explore Green was founded on protecting and revitalizing our planet. To communicate those goals, we need to understand those cultures that have for generations had a deep connection to the land and water. With that critical connection, we are launching an ambitious project to bring people into the precious circle of knowledge of about how our food system used to be and where it is going now. Explore Green simply has the largest and most knowledgeable collection of environmental experts, explorers and scientists available through any single resource in the world. From climate change to species conservation, exploring the unknown to explaining what humans do know about our planet to food security and the solutions to the challenges facing all humankind, Explore Green represents the leading thinkers and doers of our time. If you think hearing from our experts is fascinating, wait until you get to go along on their adventures and experience the planet at their side. 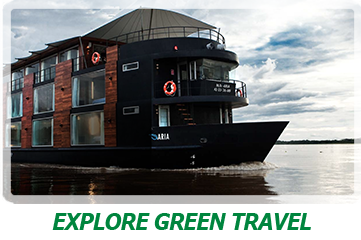 Explore Green Travel develops unprecedented, small group travel experiences around the globe, pioneered and led by our elite eco experts. From the Amazon to Iceland, become an adventurer in first class luxury. You can through the lens of Explore Green Travel and some of the most amazing experts you may ever meet. Revel in your own personal odyssey. We live in a time of sensory overload with thousands of tv channels, films and social media that seem to “dumb down” our culture, education and understanding of the natural world. But there’s hope. We are also seeing a dramatic increase in high profile documentaries, online content and multi-media presentations that are illuminating the challenges we face and the majesty of nature. 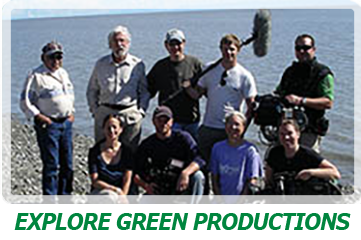 Explore Green Productions works with our eco experts to create and fund first class projects to inspire and educate people everywhere.